Nyetimber Pirates raided the Southwater defence to record a 6-1 victory as the West Sussex League's new season began. 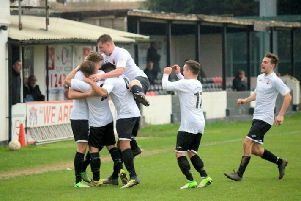 The win, at Pagham FC, put the Pirates top of the premier division at the end of the first weekend of the campaign. Also finding opening-day success in the division were Lavant. who won 3-1 at Angmering, and Unicorn, 4-0 winners at Henfield. Stedham are the early leaders in the Championship south after a 4-1 win at East Dean, while Sompting and Worthing Borough also won their opening games. Get all the local football in the Chichester, Bognor and Midhurst & Petworth Observer every Thursday. And if you're a West Sussex League team looking to raise your profile, why not send in match reports and team pictures to steve.bone@chiobserver.co.uk for publication in the paper and on this website?